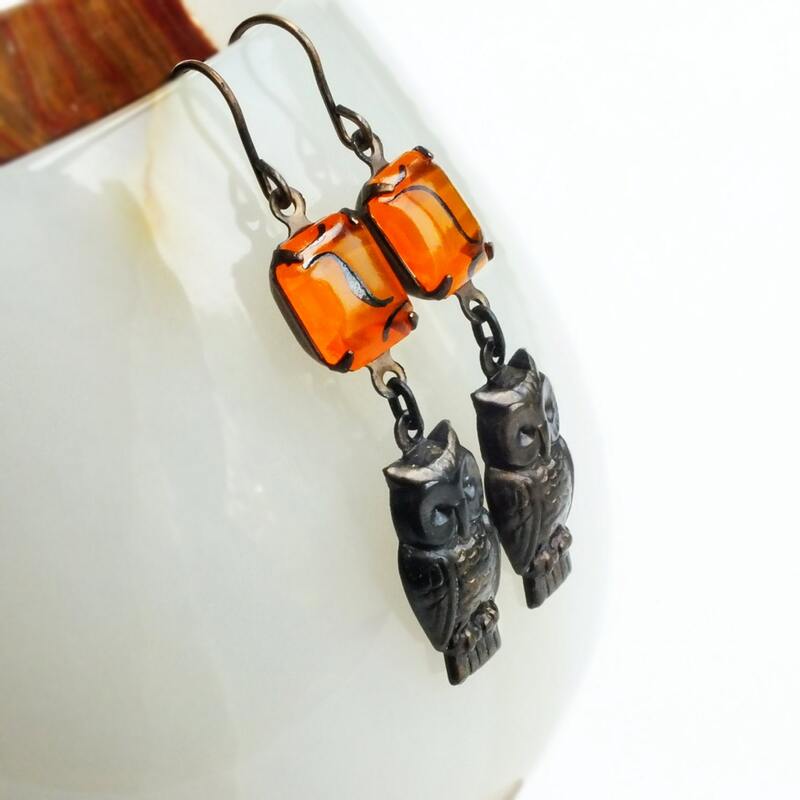 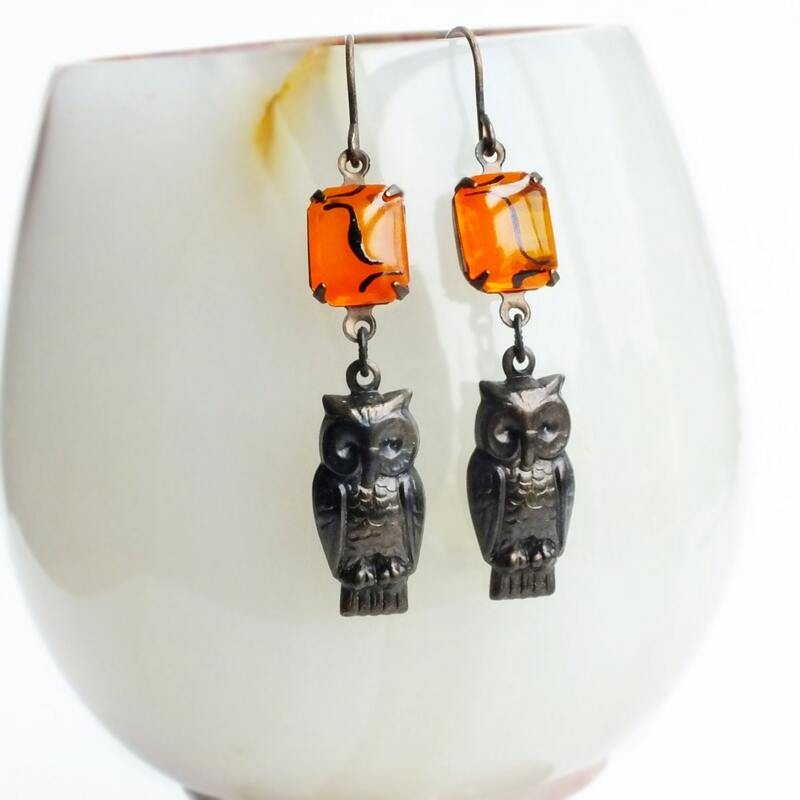 Handmade owl dangle earrings with antiqued brass owl charms and vintage orange glass rhinestones. 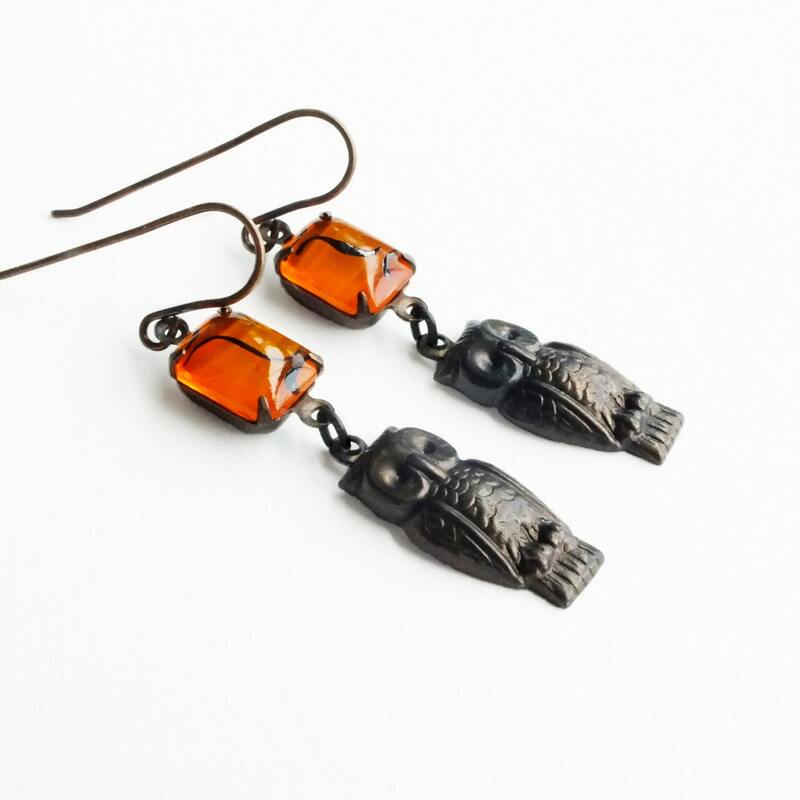 US made antique brass charms and ear wires. 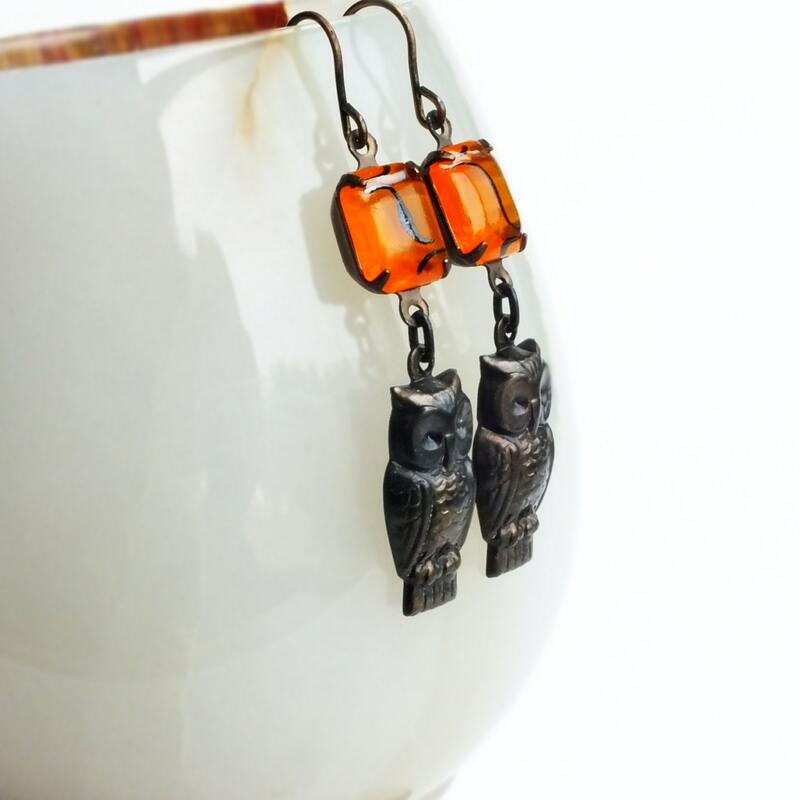 2 1/8 inches - 5.4 cm long. 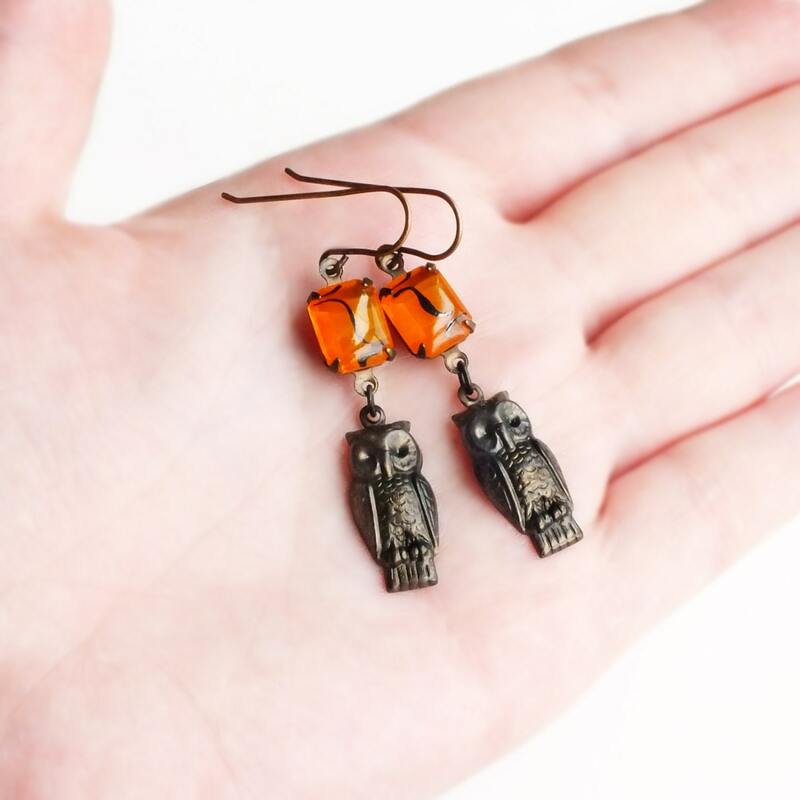 Vintage style earrings made with detailed vintage style antiqued brass owl charms adorned with glowing orange vintage glass rhinestones.